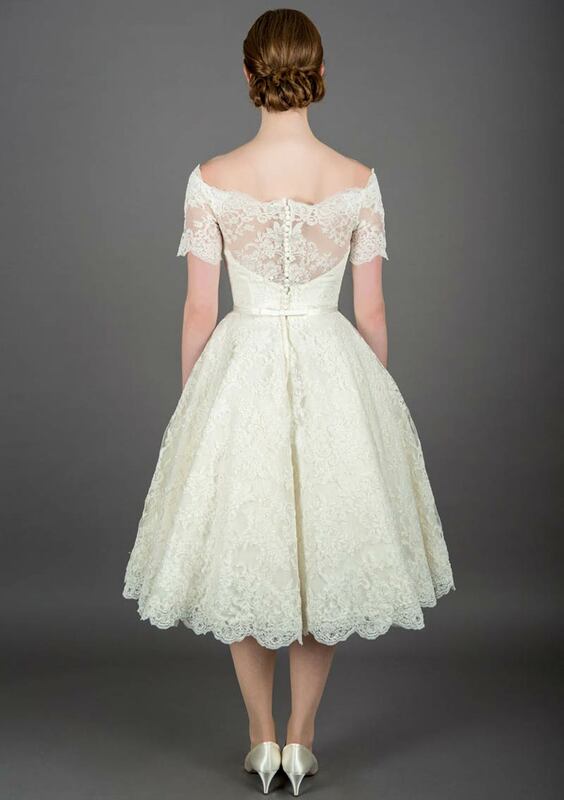 Nina is a vintage inspired, tea length wedding dress made in corded lace. It has an oﬀ the shoulder neckline and is trimmed with a pretty satin belt. A corded lace wedding dress with a pretty scalloped neckline and hem. This tea length gown has plenty of movement. A beautiful off the shoulder neckline. A vintage inspired tea length dress made with heavy corded lace.